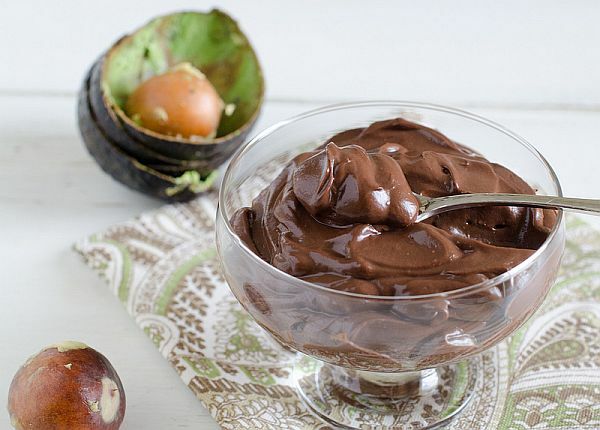 Avocado chocolate pudding recipe will satisfy your sweet tooth in a healthy way. Make your belly happy every single day with avocado chocolate pudding. It’s super easy way to whip up your ultimate desire for healthy dessert. Learn how to make avocado chocolate mousse aka chocolate pudding made with avocado. Nutrient rich Avocado chocolate pudding promotes a healthy heart and maintains healthy BMI and has anti-cancer benefits. It contains Potassium, Vitamin E, Vitamin K, Vitamin B6, Vitamin C, Magnesium, Folate, Beta-sitosterol, Mono Unsaturated Fatty Acids and antioxidants to keep you healthy. Moreover, tossing with avocado is a healthy way to boost the flavour of your chocolate pudding. The pudding is so easy to make that you don’t need to be a master chef to do it. Just spare a few minutes of your busy schedule. Seriously, just 5 minutes of dedicated time is enough for this chocolate avocado pudding recipe. Technically, dessert is full of calories but chocolate pudding made with avocado is a nutrient rich health food. Isn’t it healthy filling? Nutrient rich avocado chocolate pudding recipe is healthy and nutrient rich. Peel avocados, pit and chop into cubes. Place serving bowls in the fridge for about 45 min or until pudding is cool. Garnish your chocolate pudding with chopped almond or whatever your heart desires – I use orange slices and hazelnut crunch. You might also love to check these dessert recipes:- Rava Kesari recipe and Minapa sunnundalu recipe. Have you ever tried this recipe in your kitchen before? You must, I insist! Please let me know how it turned out for you! Talk about it and leave a comment below.